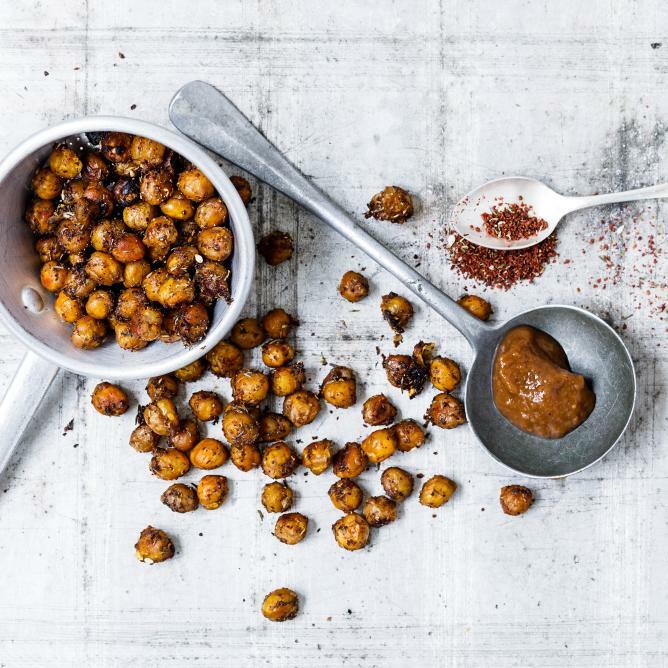 Mix the chickpeas with all the remaining ingredients, spread on a baking tray lined with baking paper. Bake for approx. 45 mins. in the centre of an oven preheated to 180°C.